Mark Luther Stavig, Oct. 31, at age 82. Mark was emeritus professor of English at CC and will be remembered as a wise department colleague, an erudite teacher, and a treasured voice in college affairs. Educated at Augustana College, Oxford, and Princeton, Mark held Fulbright, Woodrow Wilson, and Danforth fellowships. 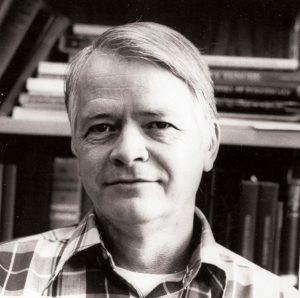 He taught English at the University of Wisconsin-Madison, and first came to Colorado College in 1968. Mark served as chair of the English Department from 1980 to 1985. His legacy includes authorship of two scholarly books, one on the Renaissance playwright John Ford (“John Ford and the Traditional Moral Order”), and one on Shakespeare (“The Forms of Things Unknown: Renaissance Metaphor in Romeo and Juliet and a Midsummer Night’s Dream”). Mark is survived by his wife, Donna; three children: Anne R. Stavig ’81 (Hal Sargent), Thomas E. Stavig ’84 (Marleah Jex Stavig), and Rolf Stavig (Lisa Bollman Stavig); and five grandchildren, including Emma Stavig Sargent ’19.